Divya Beste Dolanay was born on 1 July 1974, in Ankara-Turkey. She completed her undergraduate studies at Bilkent University and received her Master’s degree on Business Communication in The Hague, Holland ,where she lived for 3 years. She worked professionally and volunteered in various organizations in Turkey and abroad. She started to practice yoga and follow this inspirational, transformational path in 2000. Upon the birth of her daughter in 2003, she decided to teach yoga professionally. In 2004, she completed the Yoga Teacher Training and received her certificate from Vivekananda Yoga Therapy University (sVyasa), and started teaching yoga. She founded the children’s yoga program yOgaMini Project to teach yoga at schools and created the first children’s yoga website in 2004 in Turkey. She completed Yin Yoga Teacher Training with Paul Grilley in 2007 and Mindfulness Meditation trainings with Shambhala lineage between 2007-2017. After living in Durban, South Africa for two years, in 2008, she moved back to Turkey, Urla-İzmir. She gave private and group yoga classes in İzmir, also for English speaking Expat groups at her home studio in Urla. 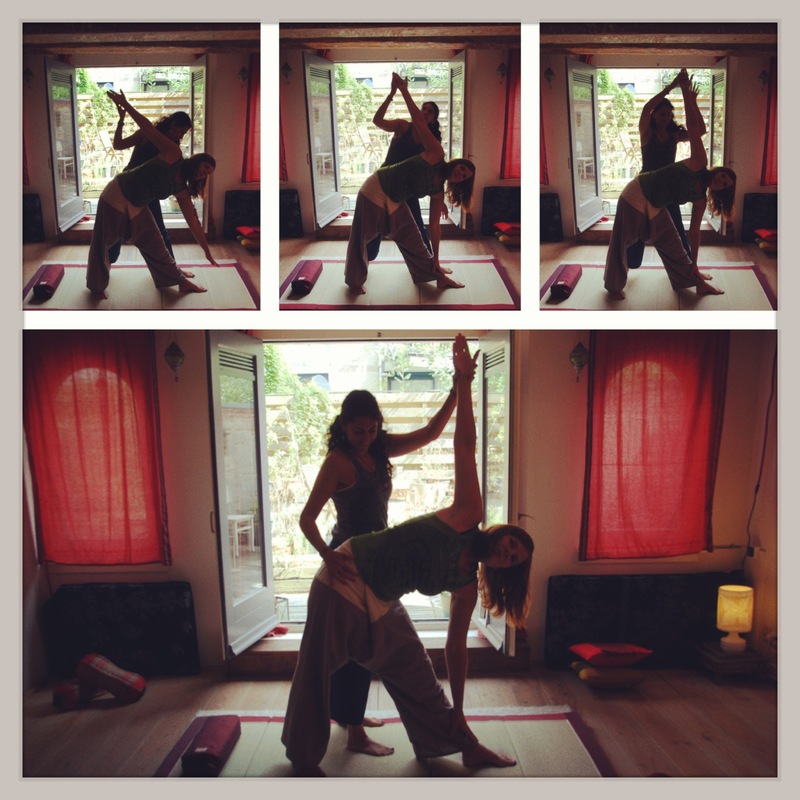 She opened a yoga studio with her friend/colleague in İzmir, Konak called ‘bir’ yoga stüdyosu. In February 2008, her children’s yoga book, ‘Lotus Çiçekleri-yOgaMini Projesi’ (Lotus Flowers-The yOgaMini Project)’ was published by Alfa Yayınları. Same year, she created the yogaDivya website, where besides yoga, she also started to share her travel articles and creative freestyle pieces. In 2010, together with Dr. Neslihan İskit, she started children’s yoga-yOgaMini Project Teacher Training Program. These programs are still being held every year and more than 50 yOgaMini teachers all over Turkey are teaching children’s yoga at schools, kindergardens and children development centres. Summer of 2010, after almost 5 years she moved back to İstanbul, Kemerburgaz where she started teaching private/group lessons at her home studio and at various number of sports centers. She also taught children’s yoga at several schools. In 2012, she moved to Amsterdam-Holland, where she is giving private yoga lessons for adults and teens, YogaThaiMassage , which is a program she has created, a combination of Yoga and Thai Massage. Please click here for the details of YogaThaiMassage. In 2017, she completed two certification programs (Nesta-Spencer Institute), Holistic Life Coaching (CHLC) and Wellness Coaching (CWC) and started professional coaching clients through her two signature programs. Divya Beste Dolanay has taught yoga to children, teenagers and adults in Turkey, India, South Africa and Holland. She is specialised in yoga therapy classes for stress management, yin/yang yoga, mindfulness meditation, recovery yoga, prenatal yoga, restorative and gentle hatha yoga classes. She has been teaching yoga & meditation for people with various ailments and chronic conditions such as MS, scoliosis, ADD, depression, anxiety, panic attacks, addictions, fibromyalgia, adrenal fatigue and burnout. Divya Beste Dolanay has attended and completed extensive trainings, workshops about yoga and mindfulness meditation all over the world. Please find more information at the trainings/certificates section. Her company ‘Holistic Wellness’ aims to give workshops, yoga classes and holistic wellness coaching to individuals and organisations, to help them live a more balanced, healthy, wholesome and holistic life. INTERESTS: Alternative music, alternative therapies, alternative sports. Traveling around the world, living in different countries, writing, walking-trekking, sailing, human psychology-relationships, collection of quotes.